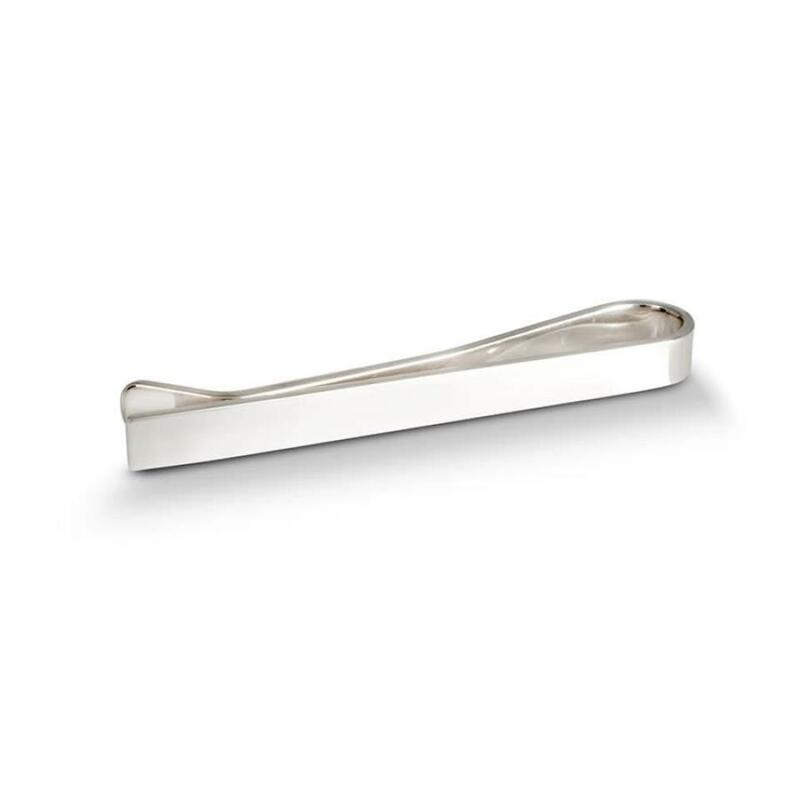 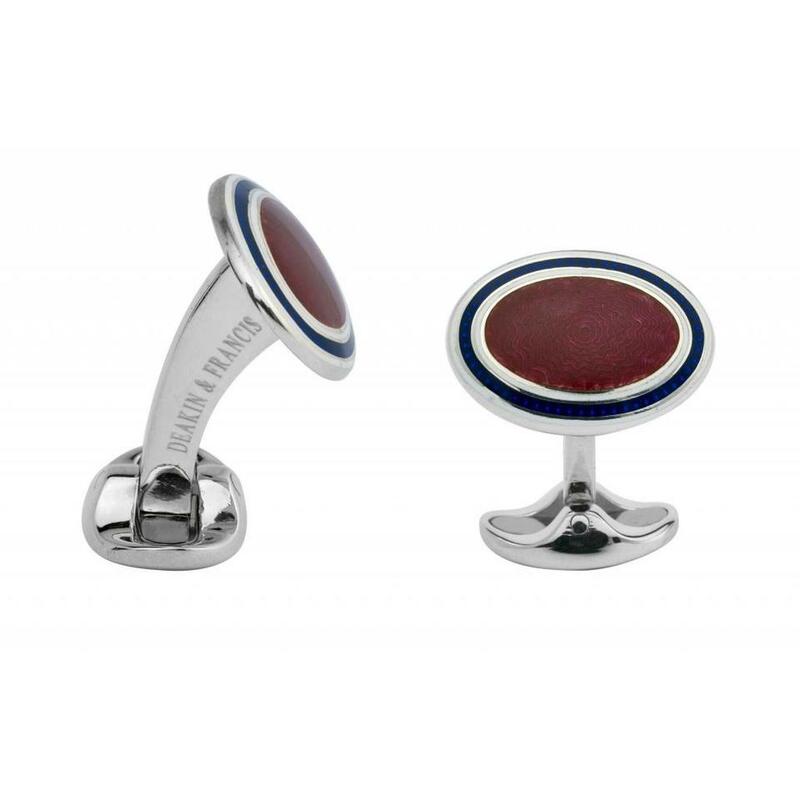 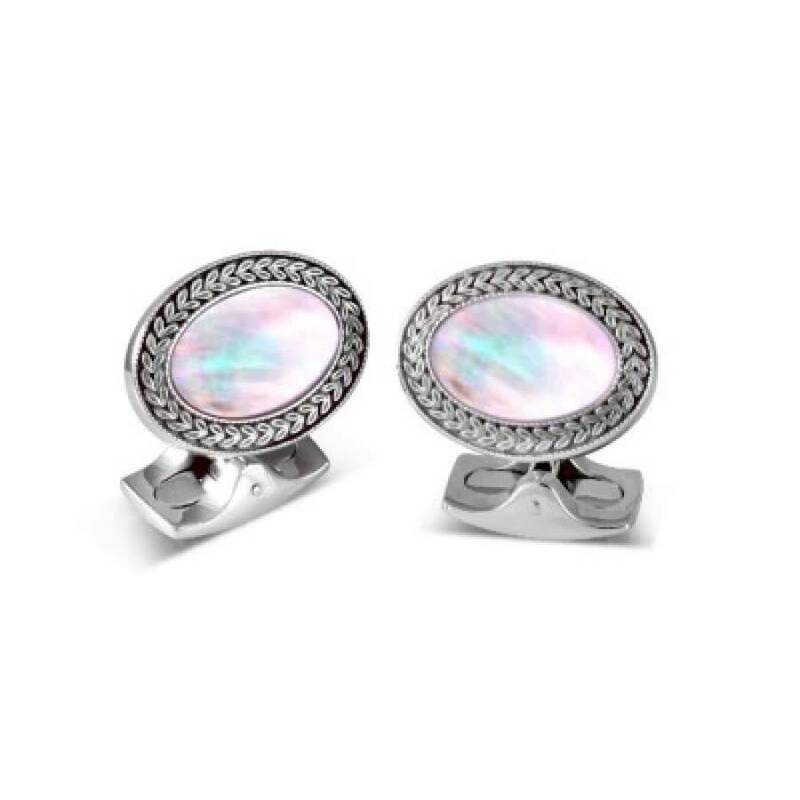 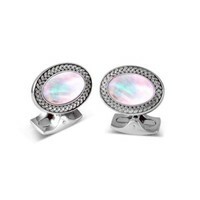 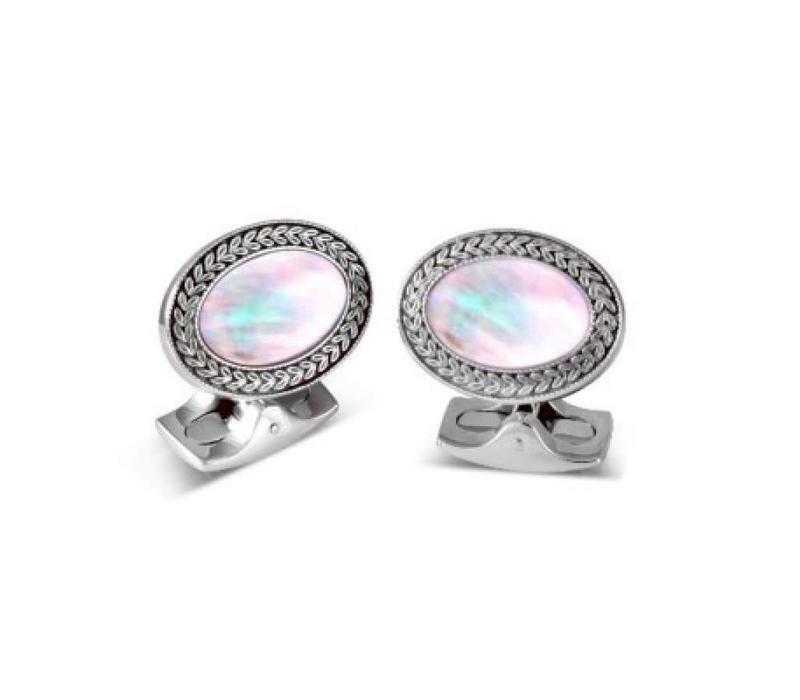 Take a classic oval design and add a stunning inlay of hand-cut mother of pearl to create a timeless cufflink. Originally designed by Francis Deakin in the 1920s, these white rhodium cufflinks have been bought back to life with an intricate wreath pattern and delicate millgrain edge. 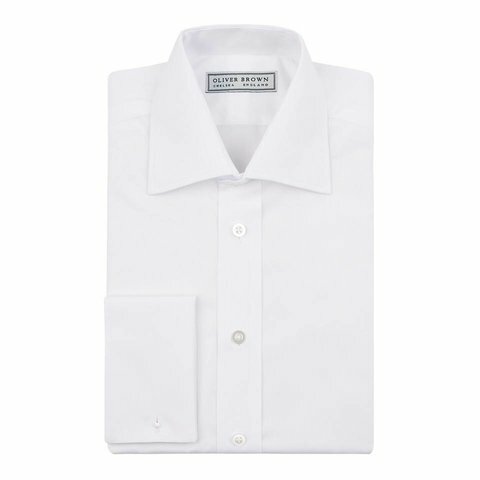 Traditionally worn with white tie, the bright, clean style would be perfect for daytime attire as well.